You may have noticed for those that are watching on video that today we are sitting on a chair lift in the French Alps at Aime la Plagne on a skiing trip. So forgive the bumpy bumpy things going on since there is no tripod. Its very very bright but I did take my sunglasses off for a second so forgive me if I squint. 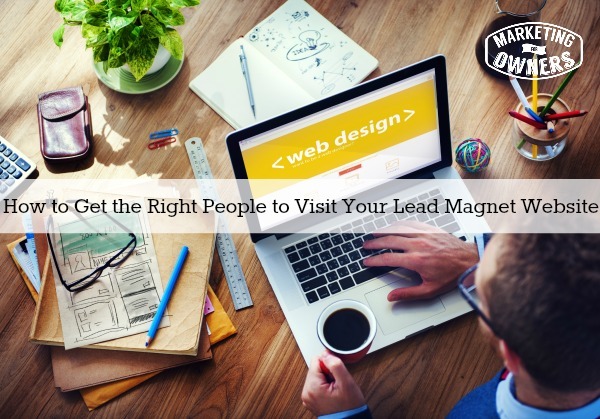 Now, let’s get back to talking about getting the right visitors to your website. This is not through getting your normal traffic generation methods. I’m talking about getting more one on one. So have you ever considered holding a seminar, renting a hotel room, getting your ideal customers, making it free, present something that is very very effective to them give them a day of training a day of learning? I can guarantee that if you impress them with what you know, leave them hanging, have an offer of consultancy over your products and other staff to discuss with them over tea and biscuits or coffee and cookies and things like that, people will be impressed and you will get customers. I know people who have thousands of visitors to their website who say they have never managed to get any better qualified customer then when they give a talk on stage that people come up to them afterwards and ask them for more information. Now — let’s talk exhibitions. I’m not a fan of exhibitions because its a dying breed and because of the cost. Its ridiculous how much it costs. At an exhibition, instead of taking peoples cards and contact numbers, you give people a reason to get in contact with you. You prepare a special little leaflet or a card to give any visitor to your website point out a special page on your website that they ought to visit. Then you need to make sure that the landing page is ready with a lead capture or something like that. People partnerships are great. For instance –let’s say that you are an accountant. You could make partnership with lawyers, a marketing company and other business service companies and the four of you can combine your contacts and bring them to a seminar in an evening or in the daytime where each of you present something good and present an offer. You get to get a hold of people from their list, and you don’t charge them for the expenses of the seminar. There are plenty of ways for you to find very targeted customers. Sometimes it won’t be one one one, it might be a few on one, but you will get a much better quality of customer a much better quality of lead because people are already interested before they came, and now, once they’ve heard you speak they’re even more interested in everything you have to say. Honestly, a lot of people only use these methods such as the webinars, hotels, local hotels and such. They simply rent a room, rent a hired list or make a partnership with someone to hijack their list. It is worth trying. It is money well spent — trust me and I’ve been to the them and I’ll tell you what, I also feel the same way (like the customer). I feel more inclined if I’ve seen someone show me how to put a website together then show me how easy it is. I’m going to think “I still don’t want to do it”, but they’re the fellows for me– they’re the people who are brilliant at doing it! Today I’m going to tell you about one of my very favorite podcasts. This is right at the top of my list, and I have a long list that and I listen to them all the time. 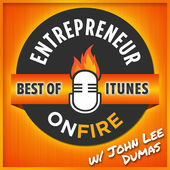 Entrepreneur on Fire by John Lee Dumos. He is fantastic. He interviews top people but from all walks of life. He uses a similar format every single time, and ask similar questions that he actually elicits great answers out of them. No matter how far or how famous the people are he goes for it. John has being doing this for long time. He started from nothing with no experience and decided to do a seven day a week podcast. He still does a seven days a week and they are 45 minutes long at the most. His website is also called Entrepreneur on Fire. It has a lot of information about pod casting. John is your man but I recommend you listen to him because he has some very interesting things for you! Who could you partner with to bring in the right customers to your website?